Why don’t you sign up for an online class in art history or appreciation? Wouldn’t it be wonderful to annoy the peasants in museums and galleries with your bold proclamations on artist’s intent and the subliminal messages you make up on the spot? Why don’t you spend an evening exploring the world on Google Maps? None of the other mapping services are as fine, unless you’re on your iPad. You do have an iPad, don’t you? Go to places you went in your childhood or visit the places of your dream vacation. I oftentimes find myself wandering about Paris, especially the Marais and Bastille and cheerfully daydreaming that I was there again. Why don’t you transform one of the rooms you don’t use in your large home into a techno dance hall? This won’t be a heavily trafficked chamber, but just imagine the delights when you’re rather tipsy on liquor. Strobe lights, mirror balls (BALLS! ), booming speakers, the music of our beloved Robyn. Sounds like a great way to spend the early morning hours. Why don’t you have a cameo brooch carved of yourself? Tragically, nobody wears cameos anymore and you should help bring this trend back. Let’s pin them to our pea coats, wear them as necklaces, incorporate them into paperweights, or just keep them in our pockets to remind ourselves of how impeccable our taste is. 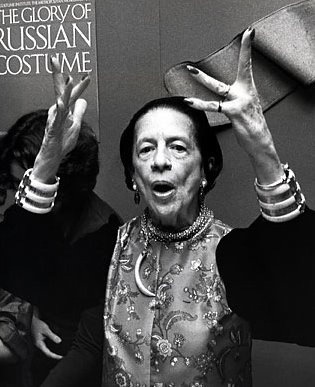 Tags: advice, art, Diana Vreeland, inspiration, Why Don't You?